Dogs have always been our best friend. 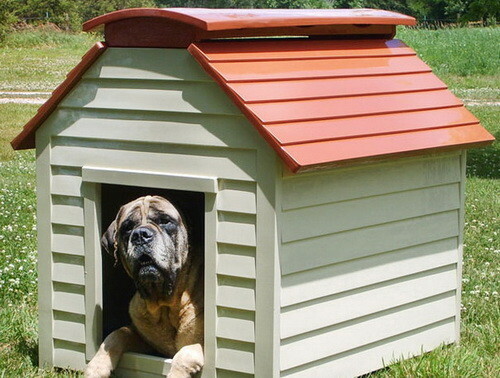 Your dog is your loyal buddy, so why not build them a custom dog house by getting ideas from the doghouses below. 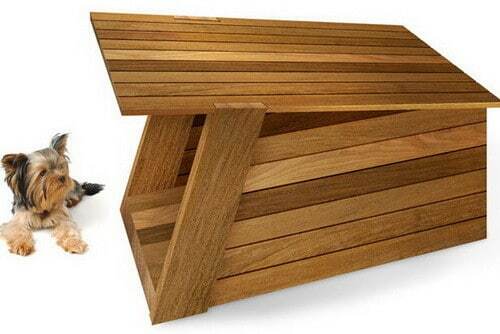 These dog houses can be a good inspiration for getting building ideas if you are looking for a cool design. Why not give your dog the best house of their own to live in? 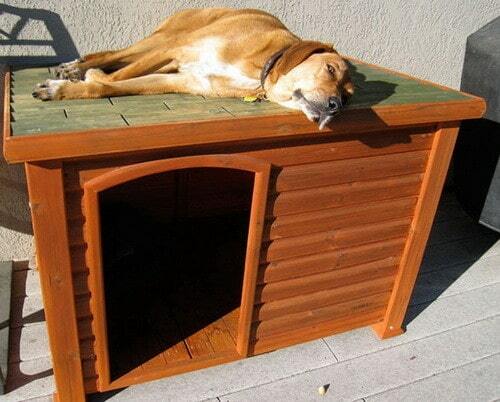 Have a look at the 31 awesome pictures of doghouse’s below and build your dog a new dog house! If you need help, here is a way to build a dog house step by step. 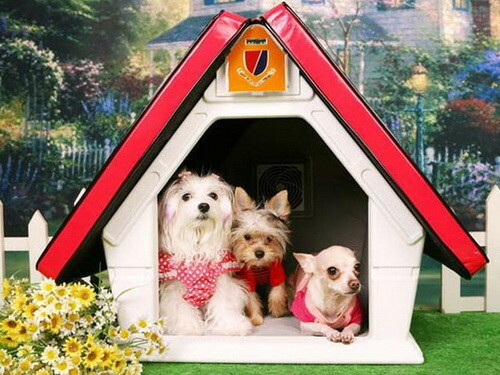 There are also dog house kits available online. 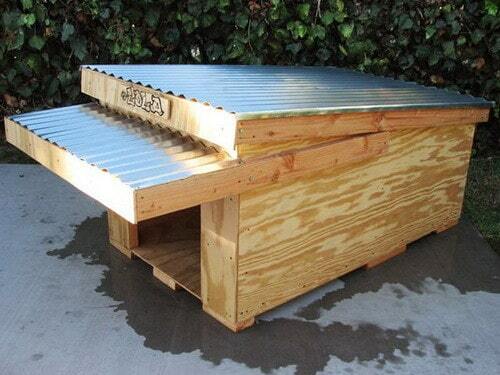 This dog house is fairly easy to build yourself with plywood and a metal roof top. 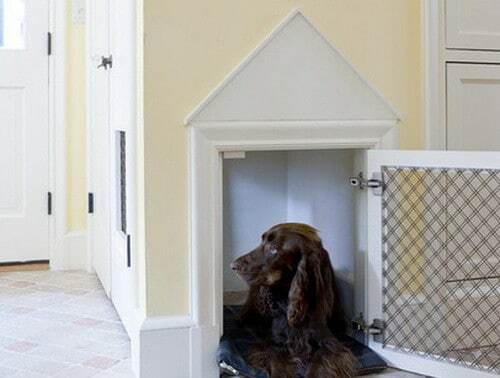 For the spoiled dog, here is a dog house built into the wall. This dog house has one of the biggest roof tops we have ever seen. 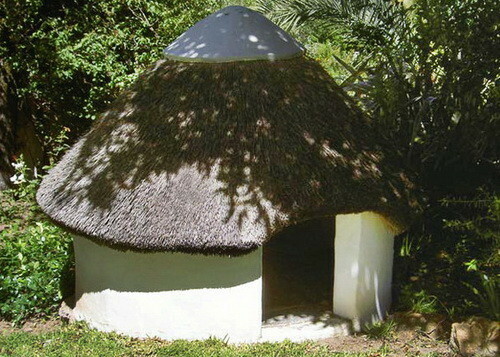 This doghouse looks similar to an igloo and very roomy. 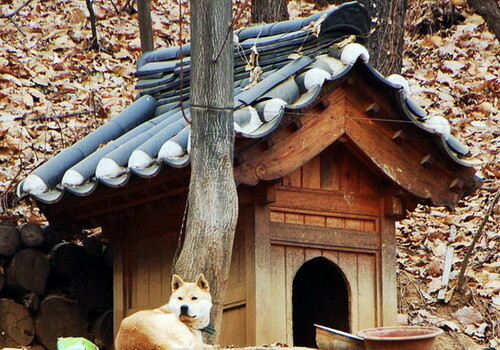 It looks like this dog house has a sort of Japanese design inspiration. 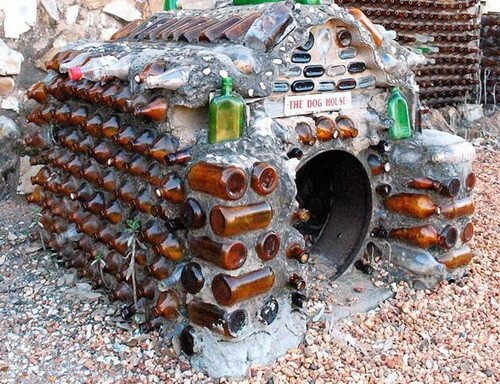 This unique dog house is made from bottles and cement. 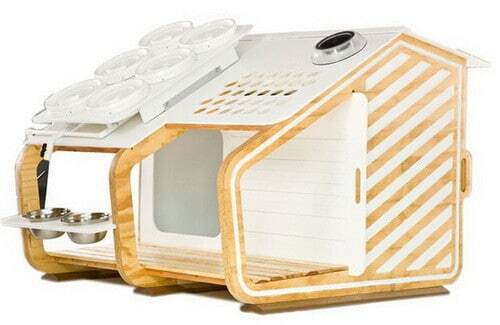 This house is a kit which can be bought online for around $100. 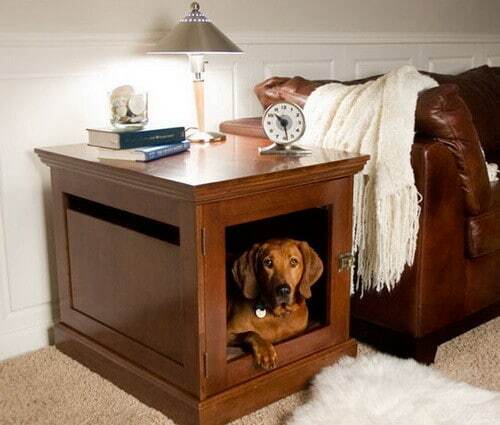 A dog house built into the sofa side table? Unique and for small dogs only. 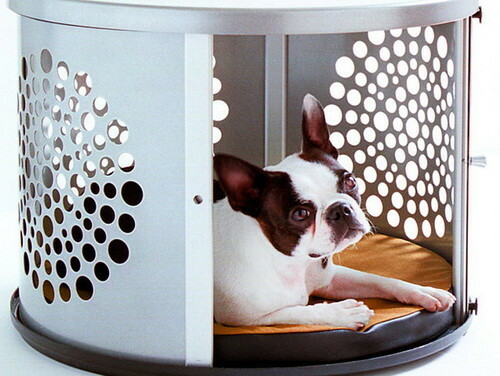 A round metal structure designed for your dog to live in. 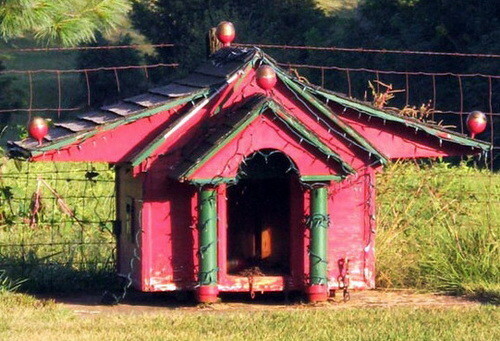 A plastic dog house with a red roof. 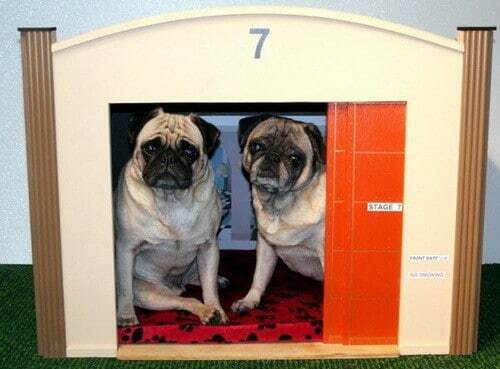 These dogs look a little apprehensive in their new home. A very simple but creative design consisting of wood cut to length and some wood stain. 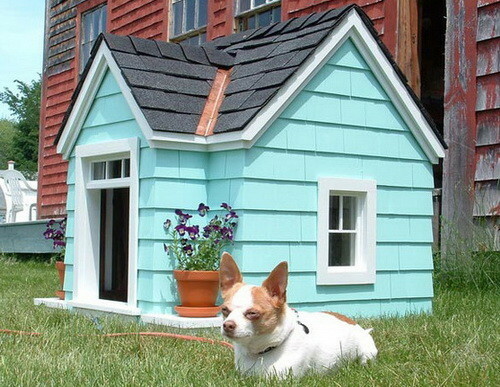 This custom dog house was designed to match the owners home. 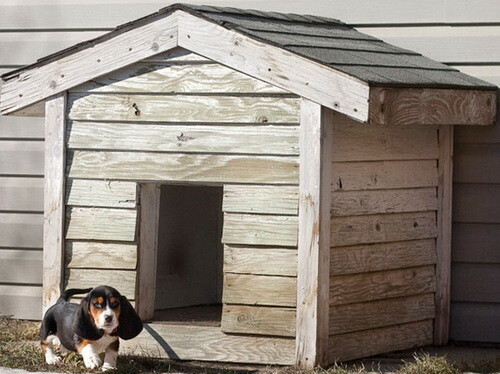 This doghouse looks to be a luxury mansion. Spoiled owner, spoiled dog. shingles and framed windows with a flower pot doorway entrance. 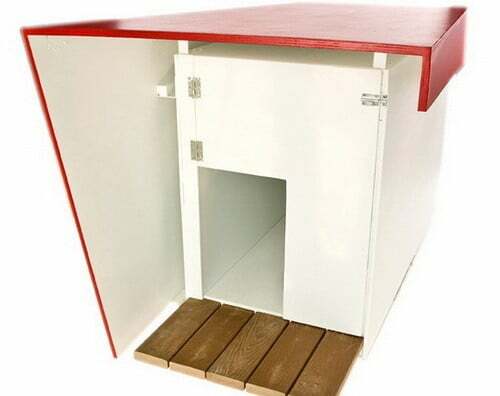 A simple wooden dog house painted beige and maroon. 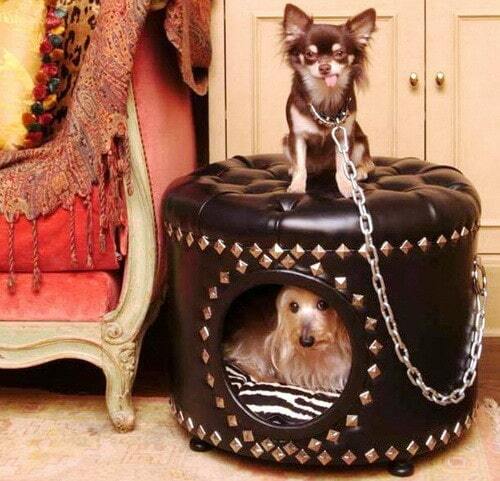 For the rock and roll type dog we have the foot rest/dog house with studded metal. 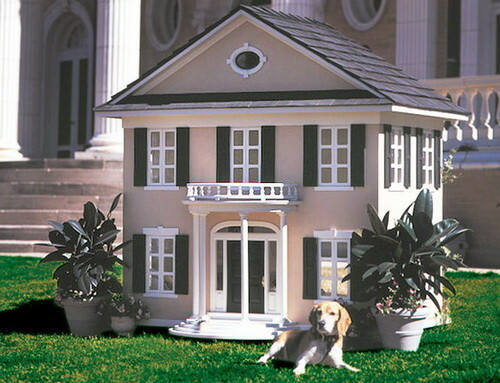 A very high tech dog house with rounded corners and porch. 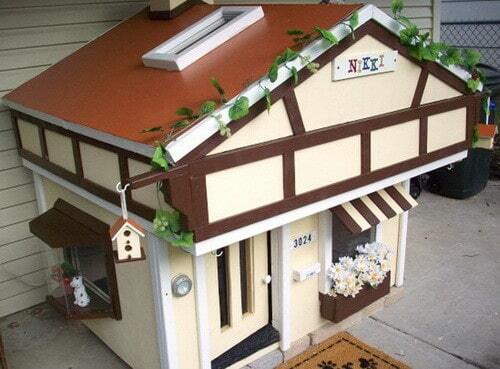 This little dog house resembles a small apartment complex building. 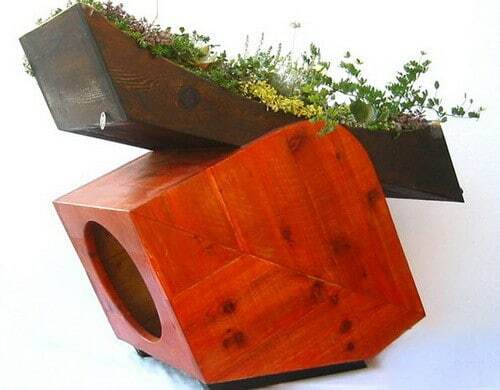 A strange dog house with a planter on the top. A very modern and classic looking dog house. 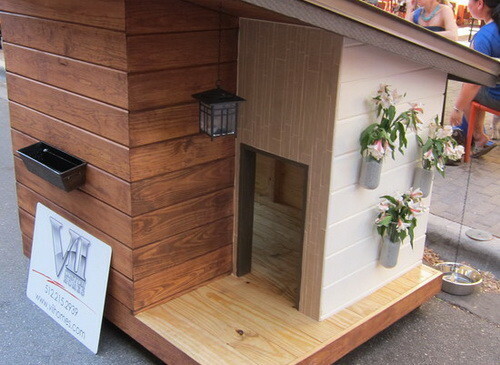 A dog house resembling a place in downtown New York complete with street light and stairs. 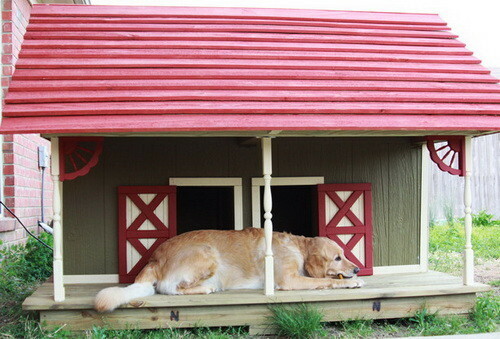 This doghouse looks to be modeled after a barn from a farm with 2 swinging barn type doors. 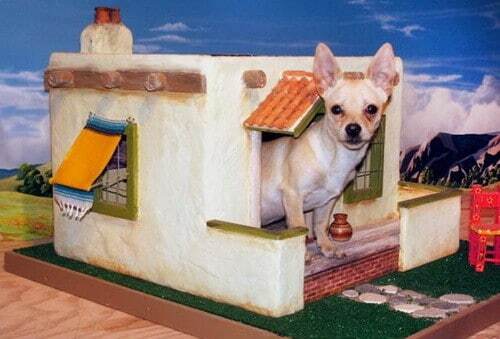 The above dog house looks like a home from Mexico complete with a Chihuahua. 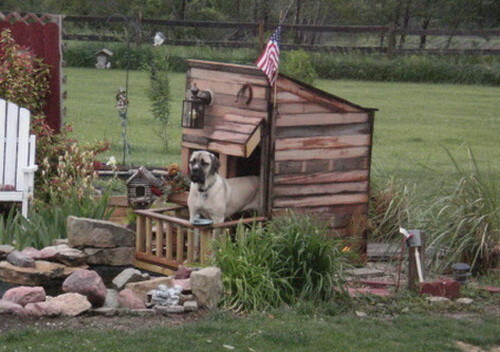 Here is a dog house built over a small creek in a backyard. 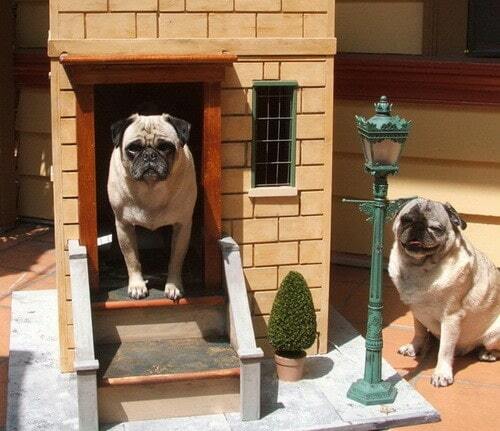 Dog house built to look like a Hollywood movie set building. 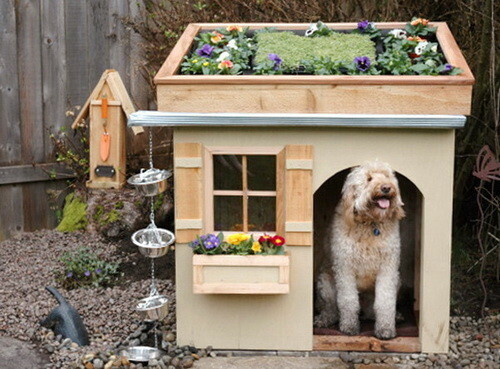 A dog house complete with garden roof, bird house and hanging flower box. 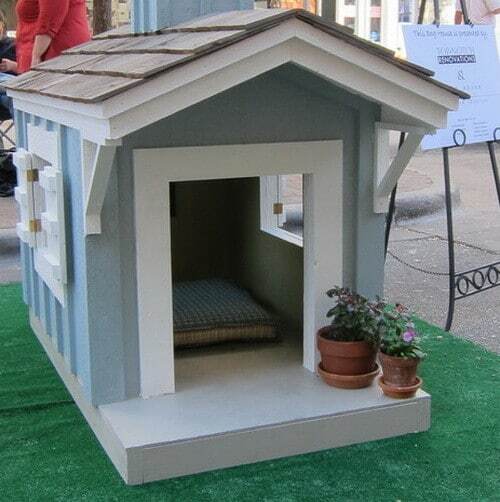 A dog home to resemble a home in the Netherlands with a tiny door and flower box. 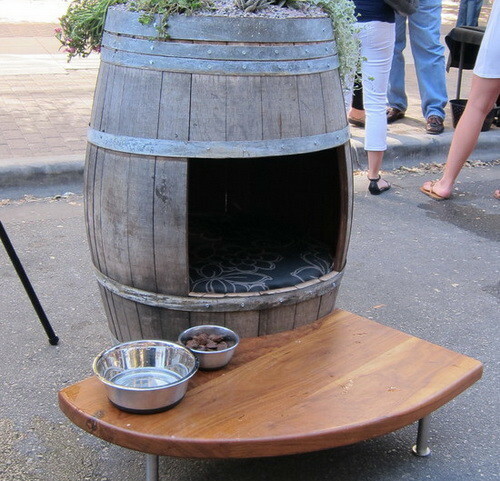 A dog house made from an old wine barrel. A classy house made to resemble a luxury house. 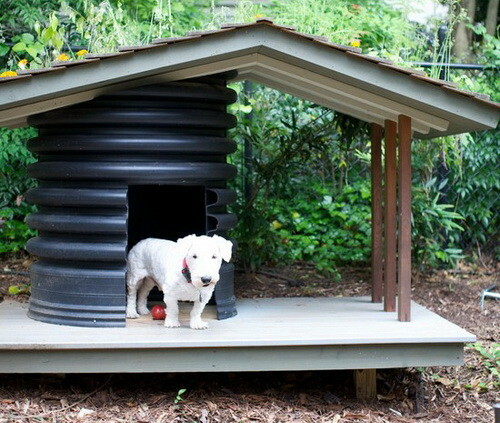 A dog house made from a black plastic spring barrel with roof and porch added. 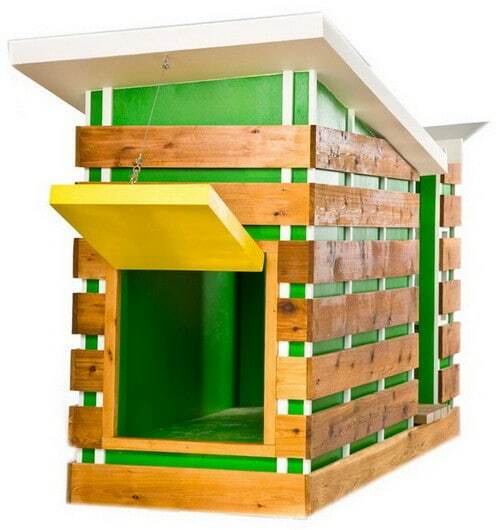 This doggy house looks like modern Frank Lloyd Wright architecture.